We definitely can’t complain too much about the weather so far this winter… But that doesn’t mean it’s going to stay that way. Temperatures can drop way below zero in these parts. You know, when it actually hurts to breathe (ugggghh why do we live here?). 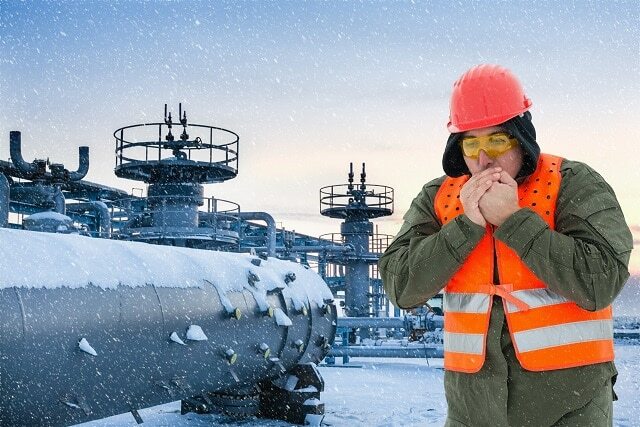 Every site and/or company has its own limits on cold weather. However, I recall working on one site, it was so cold every other company pulled the plug on working that day except ours. We were told to dress warm and we better not get caught in the warm up shack for more than 5 mins every hour. Days like these I thanked my lucky stars I was a welder and I could warm up from preheating, mid heading and after heating my pipe all day. (Okay the last two weren’t necessary but it was -38° people). 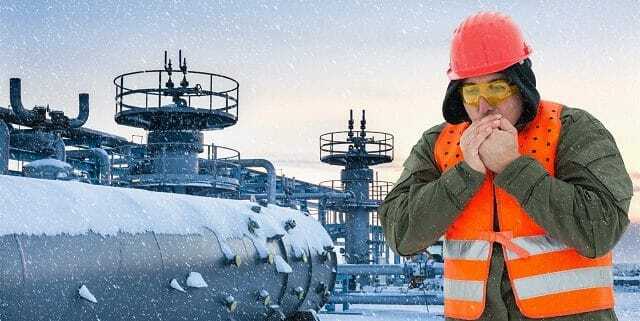 If you find yourself in a situation where you have to work in ungodly cold temperatures, you need to know the signs of danger and what to if you find yourself in that situation. First, let’s go over the types of cold stress. You have trench foot, frostbite and hypothermia (mild, moderate and severe). Let’s start with all we need to know on hypothermia, including prevention. Hypothermia happens when your body is losing heat quicker that it can produce it. Situations where you may be working in the wind, wetness or not properly dressed for the weather can speed up your heat loss quite quickly. Your normal body temperature is 37°C. Mild hypothermia kicks in when your core temp lowers to 36°C to 32°C. Moderate is 32°C to 30°C and severe is when your temperature drops way down to 30°C to 25.5°C. Come back tomorrow and we’ll go over the signs and treatment of Hypothermia. © 2019 Copyright - ABCS Safety Training Inc.